Escape the cold and heat up your vacation at these RTX destinations. It’s cold out. You’ve just dug out your car for the third time this week, and your heating bill this month might need to be sent to an accountant for calculation. It’s time to get away to somewhere warm. Luckily, we’ve got just the ticket for when you’re in the mood to defrost and have some fun. Here are four southern destinations guaranteed to warm you up and get you through the chilly winter. 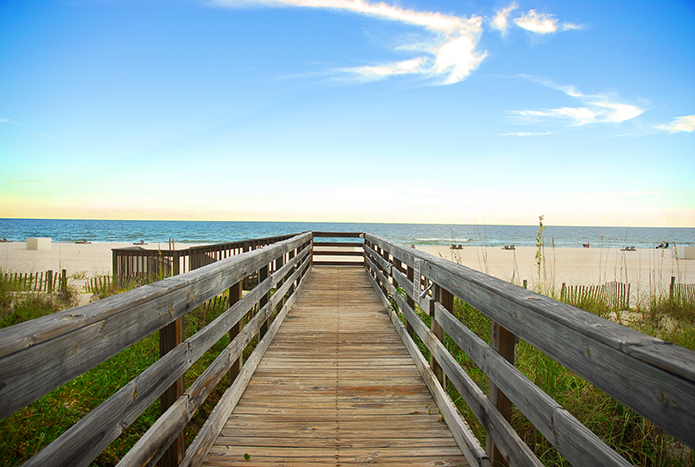 Travel to Orange Beach, Alabama, and experience all the Gulf Coast has to offer. Miles of sugar white sand and warm salty sea air will greet you. Visit The Wharf, a 220-acre resort destination with upscale shopping, a Ferris wheel, dining, movies, and a marina. See Gulf history at the Orange Beach Indian and Sea Museum, where you can view local artifacts in an old schoolhouse. Indulge your seagoing aspirations and board the Daedalus, a 22 passenger sailboat that departs from Orange Beach. View dolphins, a beautiful sunset, or even take a moonrise cruise on this special boat. Take the kids over to Adventure Island, a family fun center featuring go karts, bumper boats, laser tag, kiddie rides, and paddle boat rides. South of the border: Mexico. This enchanted land of senoritas and margaritas will be sure to nurse you back to health during a hard winter. Welcome to Riviera Maya and Cancun, two very different cities separated by only an hour’s drive. The Riviera Maya coastline has been developed into a modern tourist corridor boasting fine dining, nightlife, spa retreats, shopping and golf. 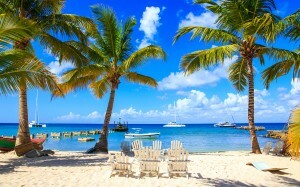 Water lovers need to check out the pristine white beaches lapped by the clear blue waters of the Caribbean Sea. Down the road at Cancun, there are 14 miles of white beaches to relax on, and the amount of leisure activities boggles the mind: sport fishing, snorkeling, jungle tours, and scuba diving are all available. Deep in the Caribbean lies the Dominican Republic, a tropical island that is the perfect spot to sip a cocktail in the sand, or go on an adventure through the jungle. On the north is Puerto Plata, an area characterized by a tropical monsoon climate and bustling nightlife. Enjoy shopping, scuba diving on shallow water reef systems, golf, windsurfing, and deep sea fishing. Sleepy Punta Cana on the east is more arid and has a very laid back feel. Keep your schedule on island time as you explore this gem. Take a dune buggy adventure, ride horses on the beach, and see ecological wonders such as Hoyo Azul, an exotic blue colored cenote that you can swim in. If humidity isn’t your thing, relax in the dry climate of Palm Springs, California, which has an average high of 70 degrees Fahrenheit in January and 350 days of sunshine per year. A charming, walkable downtown is the hub of this desert city, which features more than 100 golf courses, retro and classic midcentury modern architecture, and endless hiking opportunities in the vast California wilderness outside of town. Tennis, horseback riding, jeep tours, and numerous pools will help you get that golden tan you’ve been lacking.